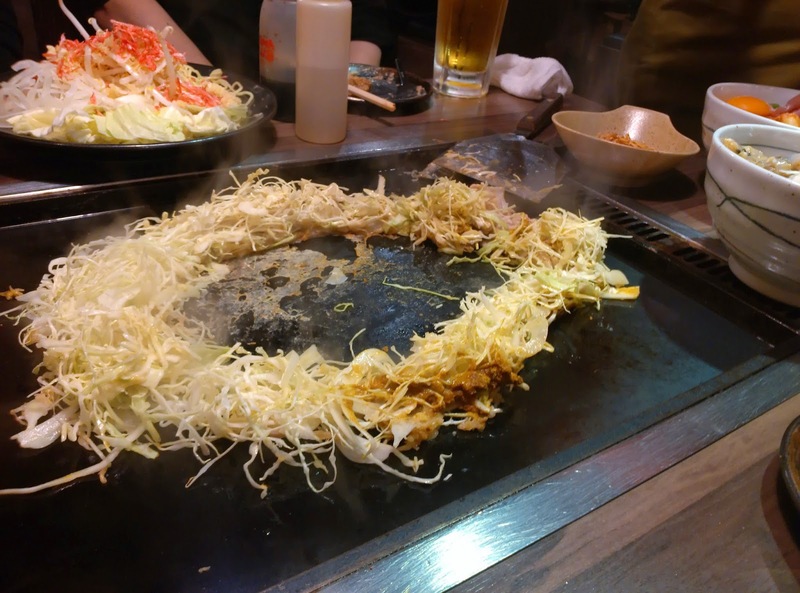 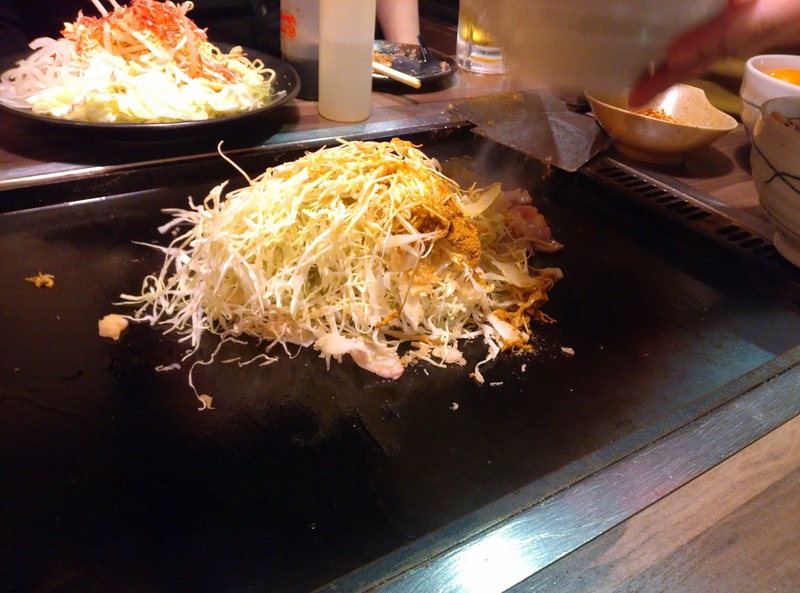 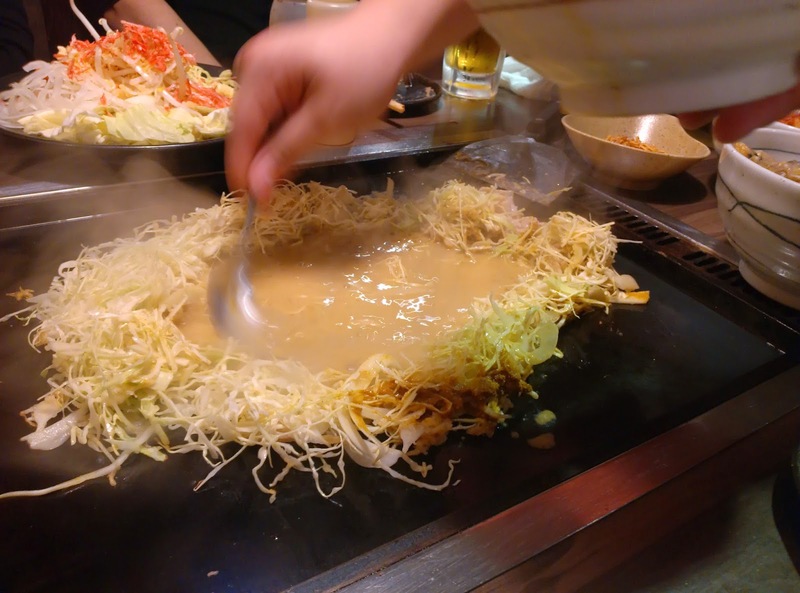 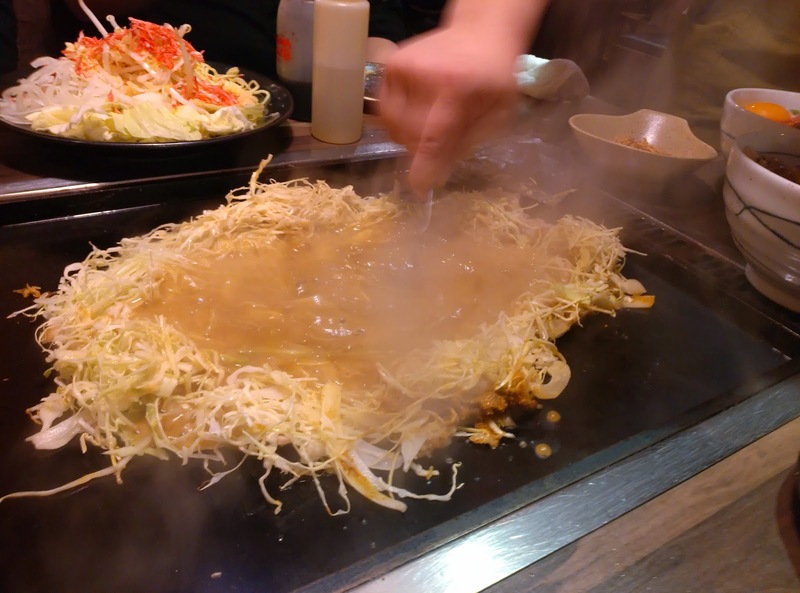 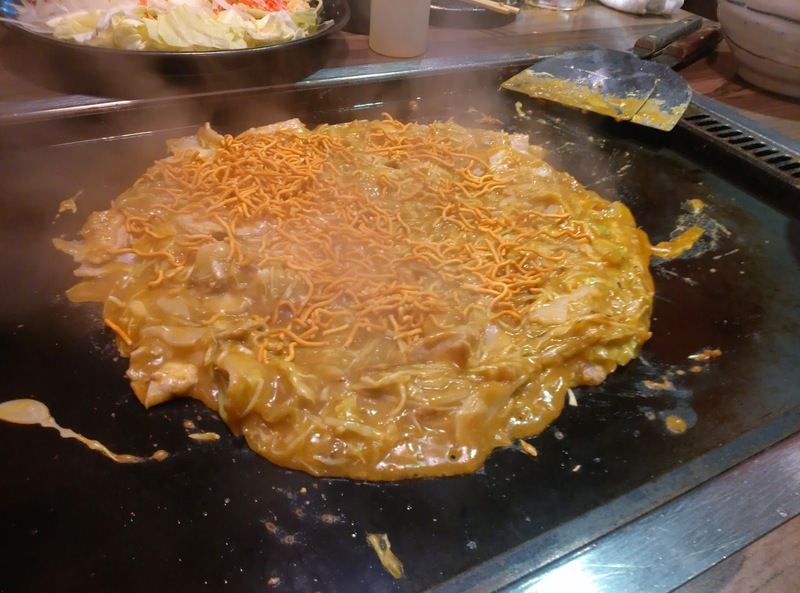 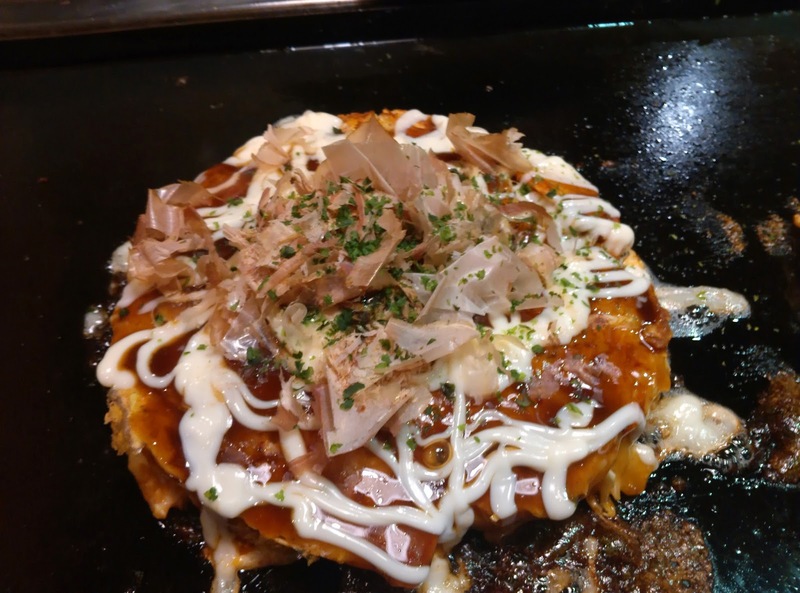 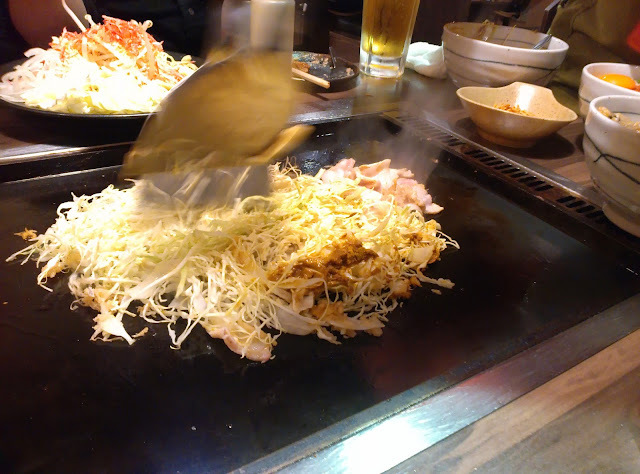 A Life Less Normal: Tokyo's answer to Okonomiyaki - Monjayaki! Konnichiwa Jason,Like you,I fell on love with this kind of food,whilst in Nihon.Unfortunately,no one specializes in this kind of food here.When I think of Okonomiyaki I think of the word "eccomomy yaki",as this dish is at the cheaper end of the food chain.A few days back,tried out The Crane sushi bar(train),which also has a nice sake bar and teppanyaki tables.The sushi was much the same as that in the Gouger St.Sushi Train.About the same quality and price.It was good enough to return.Most of the staff were Chinese,although the chief sushi chef,was a well spoken young man from Nagoya.I checked the menu for the Monjayaki/Okonomiyaki as well as Udon...surprisingly neither was on the menu..what a pity.It is quite a swish looking place,close to Moseley Square.They have green tea bags called Harada Yabukita Blend,which actually looks and tastes like real green tea from Japan.Then again it may come from China.Anyway,it smells and tastes pretty good,like the real thing.I really like the taste of "sencha" an according to the experts,it is really good for you.I have just completed drinking a bottle of Tateyama Shuzo,Junmai Ginjo and it is excellent Nihonshu.It was obtained online from Sake Aust.It is a little too expensive for my liking at $55 a bottle + $15 postage.If you get 3 bottles at a time ,there is no postage.Here in Adelaide,there is no one that stocks Sake,except for one Kyoto Brand, which I have tried,but wasn't all that keen on.A bottle of Sake does not last very long,even if you just have a medicine glass full every night.I imagine the same bottle of Sake ,would be perhaps no more than $40 in Japan?Well Jason,that is about all from now from the land downunder...cheers/kanpai...Noel. 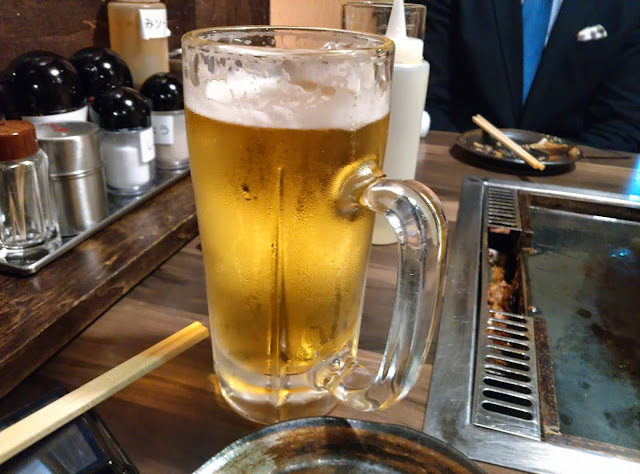 good to hear from you again. I have tried okonomiyaki at Sato on Melbourne Street in Adelaide but it didn't taste like it does here. 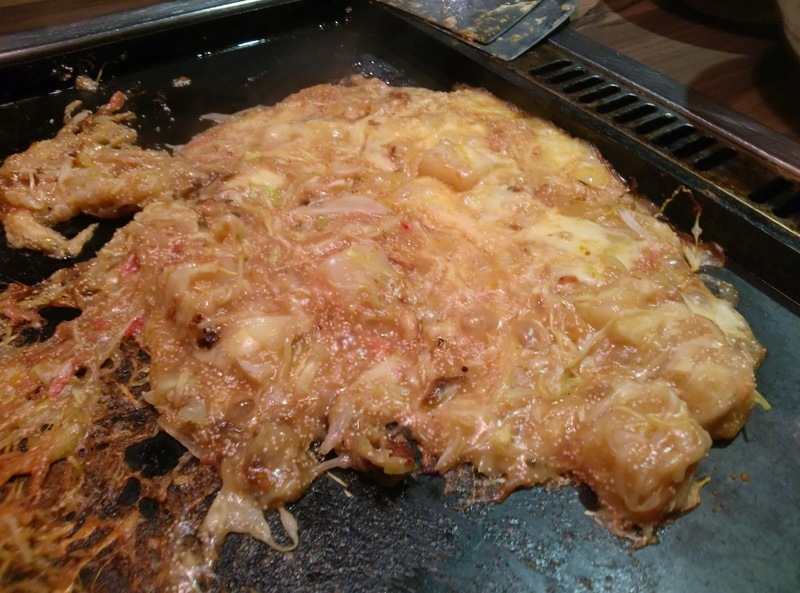 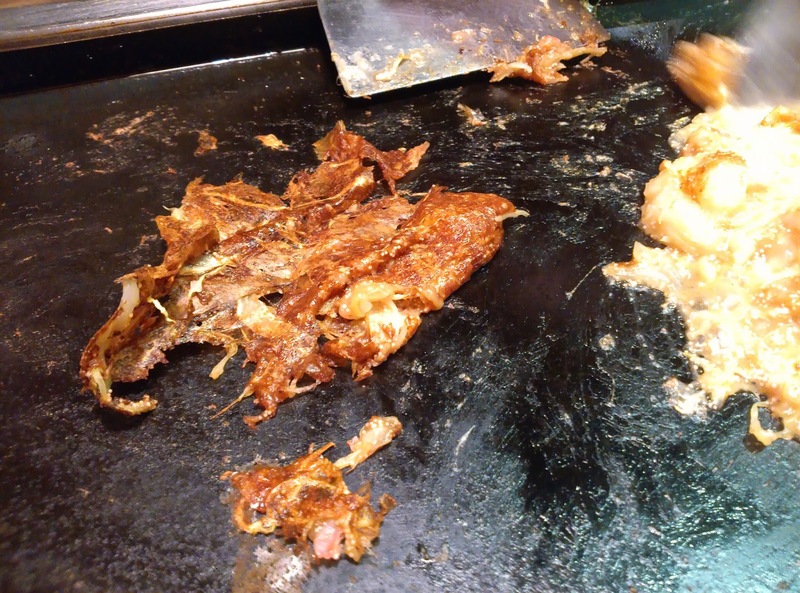 It tastes deep fried, whereas here it is fried on a hotplate or teppan. 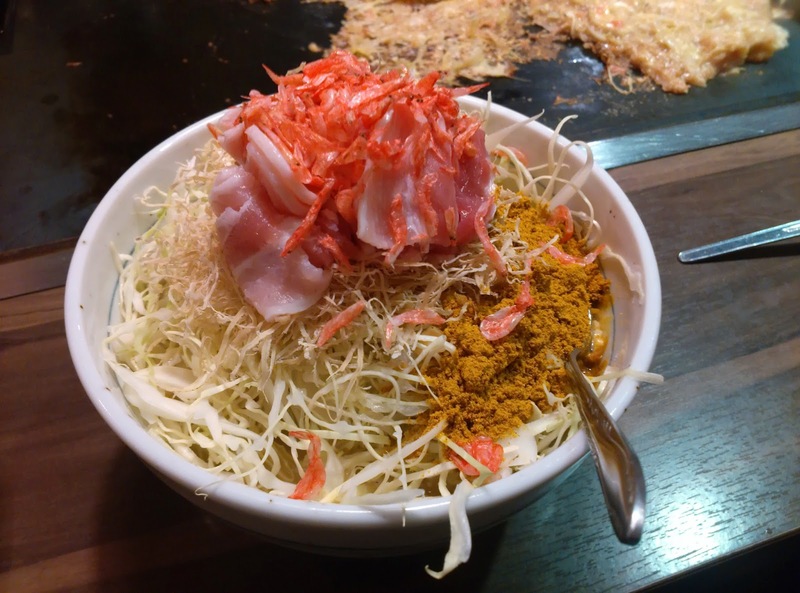 It is good to hear that more and more Japanese places are appearing around Adelaide. 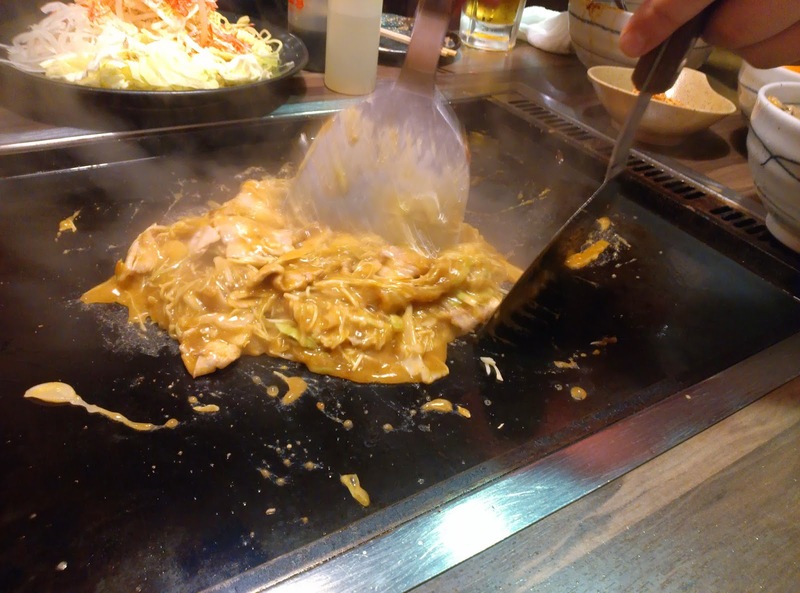 I just hope that they are serving up as authentic Japanese food as possible. 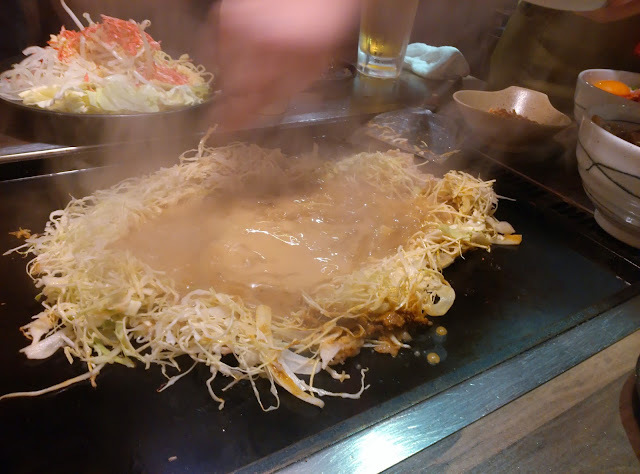 With a chef from Nagoya, hopefully that is true of "the Crane suchi bar". What taste sake do you prefer? Dry, sweet, fruity? 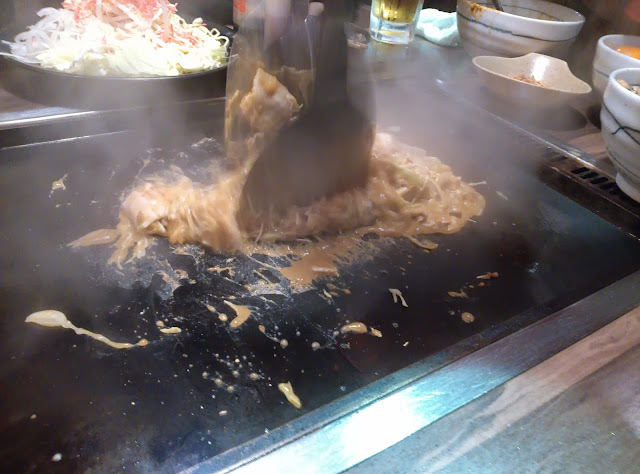 I don't know the sake that you spoke of. What taste does it have? 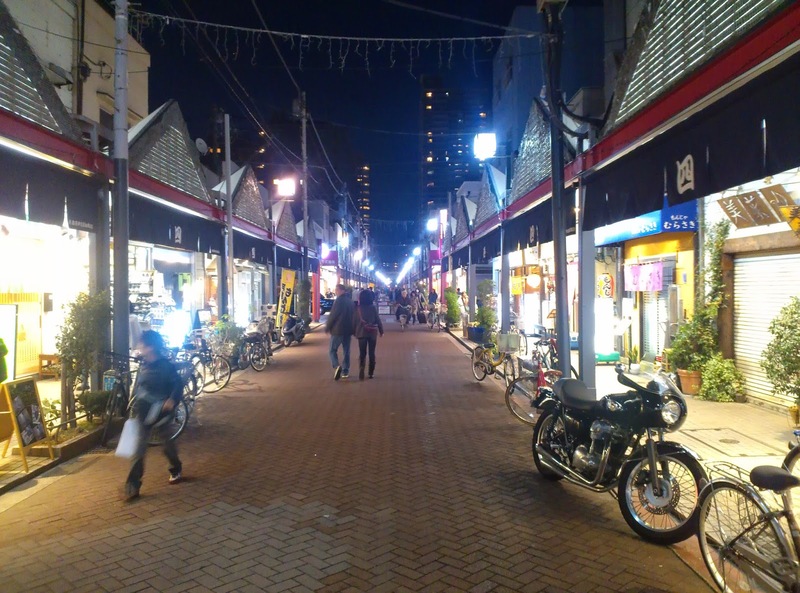 I am planning another short trip away from Tokyo toward the end of this month, so keep an eye out for another update late January or early February. 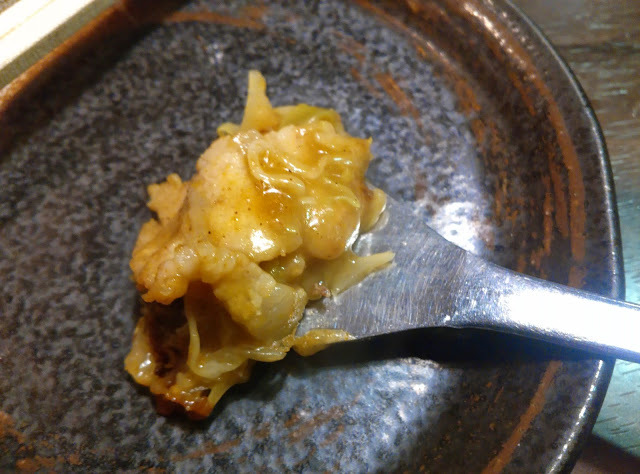 Jason,the taste is somewhat fruity(say apple/pearish) and slightly sweet.Nice aroma and I tried it at room temp. 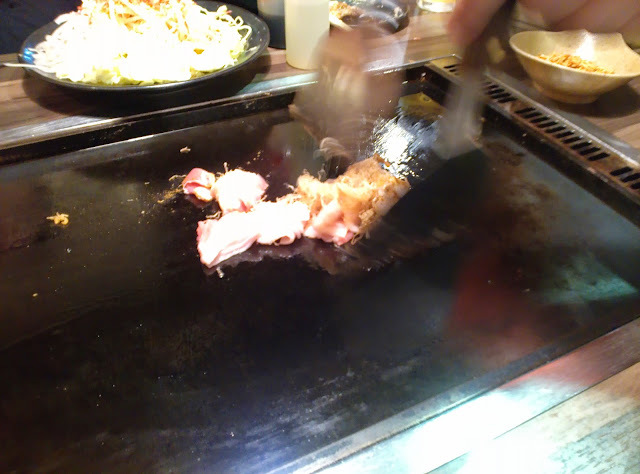 and also with a block of ice in a medicine glass...that I preferred.If you want to pretty it up,place a slice of strawberry in the glass..it will soon sink to the bottom;so once you have had the last sip,you can get the nice taste of strawberry at the end.I think it would be one of the popular sakes,around Japan.The symbol on the label is a bit like a royal crown on the top over the "yama/kanji mountain symbol" underneath.I know that it comes in the standard size bottle as well a s the sumo/jumbo size bottle.If you see it in a restaurant window.,I think it is worth a try.I suspect it may also be available in the tiny bottle as well.I would have to say this sake would be ideal with sushi,but I was drinking it as a night cap and this way you appreciate it's unique taste better I feel and of course,perhaps you will sleep better as well.Kanpai...Noel.